Used to secure window screen frames to windows. White painted flush design keeps the clips out of site. Comes complete with fasteners for a quick and easy installation. Command Outdoor Light Clips give you the freedom to hang your holiday lights in new places outdoors. Now you have a damage-free way to string your lights around a door, up the siding, under the soffits, around a window, or along the gutter all without nails or screws. The CE-TECH Nail-In Phone-Cord Clips (20-Pack) have a durable plastic construction with a white finish to complement most decors. The clips are simple to install and are corrosion- and UV resistant. Protect your storm or screen door and the door closer from damage caused by strong winds by installing a wind chain. The wind chain prevents the door from over extending. When a door opens too much, potential damage to the hinges and the closer can occur. The SK14 wind chain is made from high quality steel and is plated to protect it from the elements. All screws, brackets and instructions are included. This is original equipment quality. Ideal Security has been supplying door manufacturers with quality products since 1956. 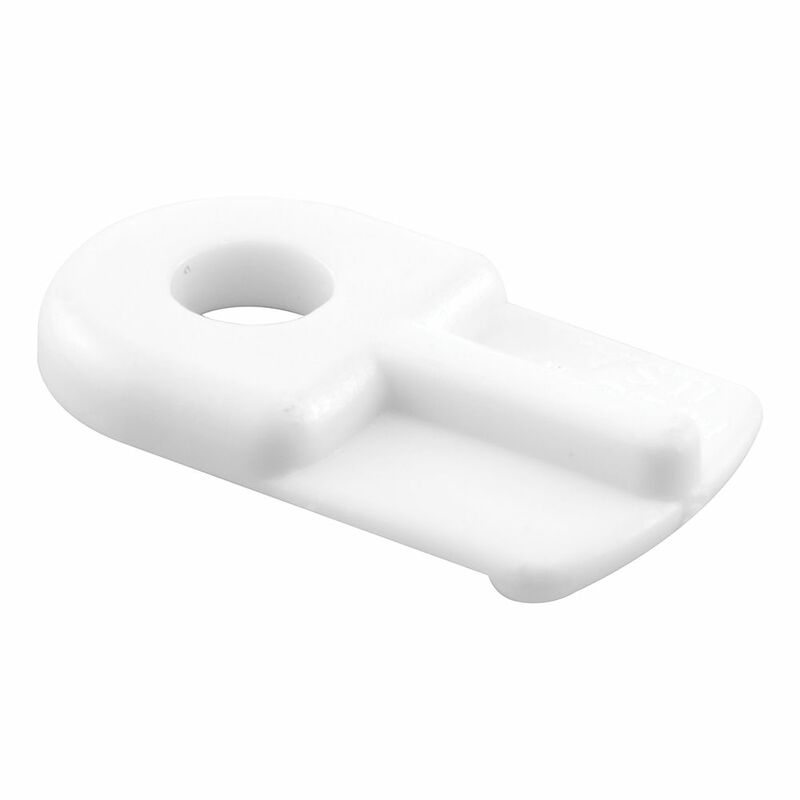 Flush Window Screen Clips in White Used to secure window screen frames to windows. White painted flush design keeps the clips out of site. Comes complete with fasteners for a quick and easy installation. Flush Window Screen Clips in White is rated 3.5 out of 5 by 6. Rated 5 out of 5 by Karen from On time and performed as expected. On time and performed as expected. Rated 1 out of 5 by Jack from Won't last These clips won't last when exposed to the sun.. They get brittle and crack. Spend the extra money and get the metal ones. Rated 3 out of 5 by Bill from replaced same item These were a replacement for the same product that had turned brittle and failed after several years. Not very durable but adequate for my application. Rated 4 out of 5 by Duke from Just what I needed The were exactly what I needed. Picked them up at the store and the price ws right. Rated 4 out of 5 by Charles from Works great, but note the size I got several packs of these little clips to keep my cat from knocking out the screen to get outside. They were smaller than I was expecting, but I just didn't pay attention to the dimensions they gave. It wasn't an issue though. No cat escapes since I installed them. Be prepared when installing, these weren't long enough to install in my wooden trim that frames the window and my windows have a small metal trim. I pre-drilled some holes and they installed very easily, but if you don't pre-drill it is difficult to get the screws in the metal. Overall, very satisfied. My only concern is that these are plastic and I live in Texas. The Summer heat may make these brittle, but I won't know that for several months.